Your message has been sent to Ankush. Like authorSTREAM? Give us a +1! 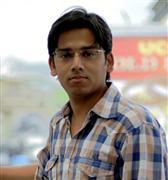 thomasrekem subscribed to ankush85's channel "Learn Photography"
All New Range of Cameras. Slim, SLR, DSLR, Compact and Professional Cameras. priyankamoksha commented on ankush85's presentation " ARTIFICIAL INTELLIGENCE "
diabetesadasolusinya commented on ankush85's presentation "Human Resource Management System"
vijey606 commented on ankush85's presentation "Retail Management"
ankush85 added a new presentation to yanki's channel "Tata-Nano"
Arpanlunawat commented on ankush85's presentation "Digital Camera"
Arpanlunawat : hie , this presentation is very nice . Please send me this presentation at arpanlunawat@gmail.com . I would be thankfull to you . allurivenkatesh7 commented on ankush85's presentation "Nanotechnology"
ankush85 uploaded a new presentation "Computer Languages"
ankush85 uploaded a new presentation "Taking Care of Computer"
HYEHOPE subscribed to ankush85's channel "Chemistry"
proasbestosremovalpe subscribed to channel "Chemistry"
nicoletteachilles subscribed to channel "Chemistry"
gspvk1995 subscribed to channel "Chemistry"
nargeskazmi commented on ankush85's presentation "Structure of Atom"
bhagatruhi subscribed to ankush85's channel "Physics"
HYEHOPE subscribed to channel "Physics"
indirapriya796 commented on ankush85's presentation "NANOTECHNOLOGY"
shruthisonu3 commented on ankush85's presentation "HTML"
shivanimodi50 : plz can i download this ppt. srujana.p subscribed to ankush85's channel "NANOTECHNOLOGY"
All NANOTECHNOLOGY related stuff. The 'only' place where you can find nanotechnology ppts. shellyquest subscribed to channel "NANOTECHNOLOGY"
gspvk1995 subscribed to channel "NANOTECHNOLOGY"
IsraBrownson subscribed to channel "NANOTECHNOLOGY"
sahibrashid68 subscribed to ankush85's channel "COMPUTER NETWORKS"
technetworm subscribed to channel "COMPUTER NETWORKS"
Elizabeth_Otis subscribed to channel "COMPUTER NETWORKS"
Kate_White subscribed to channel "COMPUTER NETWORKS"
veenaanbu subscribed to ankush85's channel "INDIA"
nicoletteachilles subscribed to channel "INDIA"
gspvk1995 subscribed to channel "INDIA"
Martin_Brooks subscribed to channel "INDIA"
Jafrum subscribed to ankush85's channel "Master.of.Business.Administration_MBA"
vasilescu subscribed to ankush85's channel "Meditation_and_Reiki"